Sorry, this product is not available for purchase at this time. 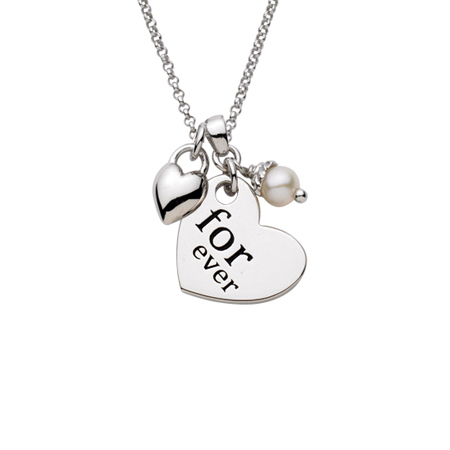 Necklace features a sterling silver Forever heart pendant, puffed heart pendant and one white 4mm cultured pearl. Cable chain width: 1.5mm, length: 18in. This necklace is part of the Ones We Love collection.